If you have been using Pinterest as one of your brand or business online marketing strategies, then you will love Google’s latest move to go more visual. Yes: Pinterest Pins – along with other visual content such as Vine videos, Houzz ideas, and Food Network recipes – are now visible on mobile search carousels. On June 26, Google officially announced on a Google+ post about the exciting new feature. Now, people can easily swipe left or right to see stuff that are most relevant to their queries. However, for businesses who are NOT utilizing Pinterest (or any of the aforementioned platforms), the digital marketing landscape just got more competitive. If you have ten reasons NOT to invest on a mobile-friendliness, Google – and your customers – have 100 counter-arguments for that. For one, at least 1 in 3 people use mobile devices when they visit a website. But folks don’t just use their smartphones or tablets to search the Web. Nowadays, they also watch TV shows, videos, view pictures, and visit social media on those gadgets. In fact, experts believe we may be shifting to a ‘mobile-only future’. And it’s not such a crazy thought: with desktop sales on a decline and the more and more workforce environments embracing mobile technology, this isn’t far from happenings. So whether or not you’re a huge brand or a small local business, it will pay off to invest in mobile-friendliness. The long and short of this update is basically answering people’s demand for more imagery. We should have really seen this coming. Back in 2012, already more users are responding better to social media posts with images. 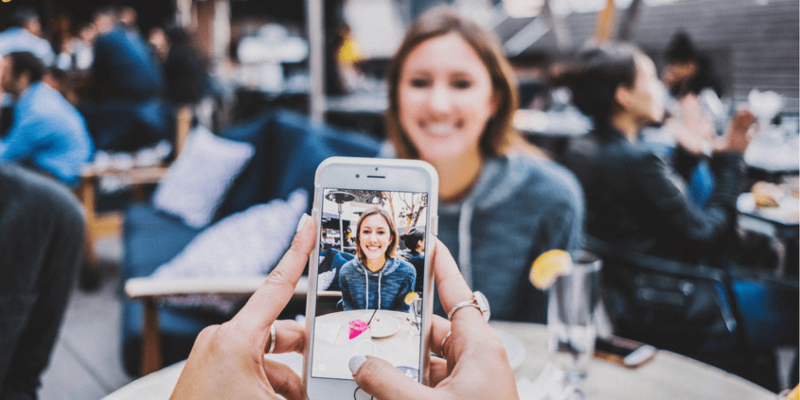 While comprehensive blogs with thousands of words were taking the cake when it comes to B2B marketing, B2C – especially on social platforms – were looking at 44 percent more people who want to look at photos. This makes sense because humans are naturally visual creatures. In fact, about 65 percent of us are visual learners. That means we learn best through colors, diagrams, pictures, or charts. That’s one of the main reasons why DIY YouTube videos are so popular. If you’re not at all thrilled by this concept, it’s probably because you are a logical or verbal learner. This means you don’t really need imagery to help you discover something new. There are 7 learning styles; but everyone uses a mix of two (or more) when we learn about the world around us. If you want to be a more effective content marketer, you will need to understand how these learning styles affect how your target audiences consume content. Now that Google mobile search carousel allows users to view more visual results, it’s easier for most of us to find that recipe for a 4th of July cake that we saw days ago. Even if you don’t have a Vine or Houzz account, you can easily make a Pinterest profile to fill with beautiful, relevant pins for your target market. However, it’s more than simply spending an hour creating boards and uploading photos. Remember: with the new Google feature, your Pins need to be powerful. So how do you optimize for visibility on the mobile search carousel? #1 Begin with your profile. You can’t have great Pins if you don’t have a great Pinterest profile. Start by picking the right picture (to represent you or your brand). Make sure to include the URL of your website. Don’t forget to connect your social media accounts, such as your Facebook profile and/or Twitter. When writing a description about yourself OR your brand, be sure to include semantic keywords that your users are using when searching on Google. #2 Create unique, fun boards. Next, draw attention to your Pinterest boards by making them extraordinary! Don’t settle for general, run-of-the-mill names. Consider a customized cover for your boards. Remember to insert your semantic keywords in the descriptions, too. But keep them fun! Make boards specific to ONE idea or topic. Avoid mixing them up so users can quickly find relevant Pins. #3 Make each Pin matter. Now comes the best bit: adding images for people to Pin and save! Understand the best dimensions for your Pin. Technically, the platform advices a minimum of 2:3 ratio and a maximum of 1:3.5, which is roughly: 736px wide by 1104px – 2576px tall. Make use of Pinterest’s 500-character limit when captioning your Pin. Unlike Twitter, you have more chances of including a keyword or two when describing your image. #4 Go for Rich Pins! Rich Pins are basically like rich snippets in that they provide the user with more information aside from the description. For product Rich Pins, these will have the price, availability, and the direct URL of the item. This feature is available for other content types too, such as articles, places, recipes, and movies. Just make sure you sign-up to Pinterest’s business account first before you can enjoy the benefits. For those who are well-versed with code or HTML, you can also follow the developers’ instructions from their support page. Simply choose the type of Rich Pin you want, prepare your website, and apply to see the features on your Pinterest account. Take note though: just like regular SEO campaigns, it’s best to give ample time for the changes to kick in. You may not immediately see results even after a month or two of aggressive Pinning. However, by the third or fourth month, you could see significant improvement – based on HOW you implemented your own strategies. Impressions/Reach – how many people have seen my Pin? Pins – are people Pinning my images? Repins – how many have I got so far? Clicks – user engagement from your Pins. The more people who view and interact with your content, the higher the chances that your visual will appear on Google’s mobile search carousel. The digital marketing world is moving at lightning speeds when it comes to updates. Surely, you wouldn’t want to be left behind. Aside from Pinterest, you can also explore having content on Houzz, Vine, and the Food Network (when relevant). In the near future, I won’t be so surprised to find how content from other social media platforms will be included in search engine results. In fact, I look forward to that day. For now, let us hear what YOU think! Is your business taking advantage of this new Google feature? Or are you still thinking about investing on mobile-friendliness? Let’s talk on the comments below!